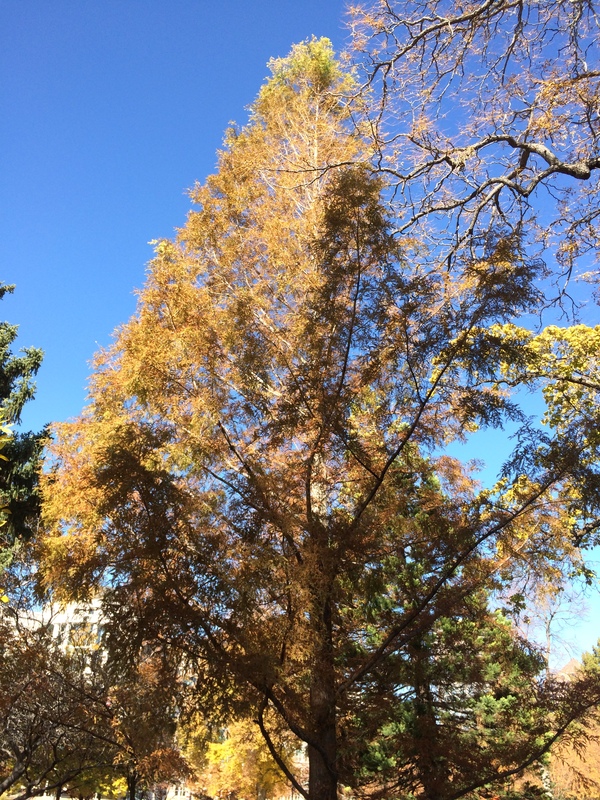 This dawn redwood tree is the near the giant sequoias south of the SLC and County bldg. of Washington Square off of State Street showing its Fall foilage. This species is one of the redwoods and probably does well in Utah, but is rarely planted here because so few people know about it. Samuel Dunford took this image in October 2017.